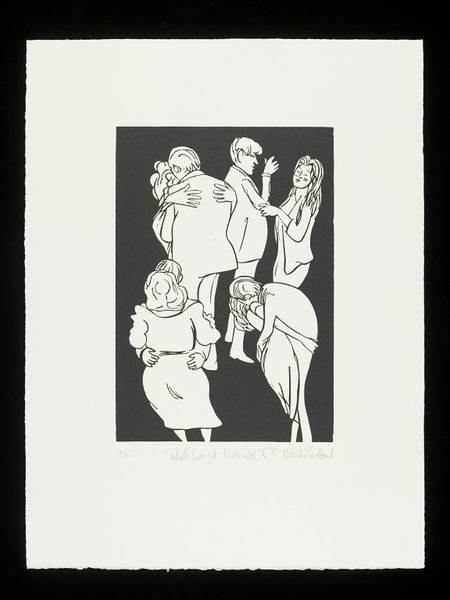 Linocut print from a set of 14 plates depicting scenes inspired by Annabel's members club in London, plus title page, list of plates, introductory text by Lucian Freud, and colophon. Each print is signed and numbered by the artist. The whole portfolio is housed in a black cloth-bound solander case by G. Ryder, Bletchley. 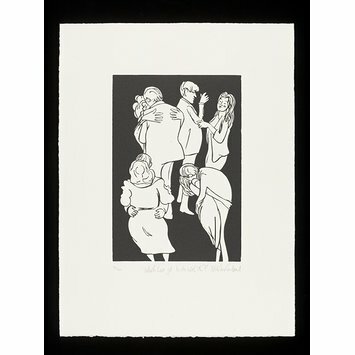 Print by Nicholas Garland from a portfolio of fourteen linocuts depicting scenes from Annabel's private members club, London. Great Britain, 1985.